I guess Seth Rollins fancies himself a leader in the WWE locker room. When asked about his upcoming Wrestlemania match with Brock Lesnar, Rollins didn't mince his words. Although it's safe to assume that any negativity Rollins spews towards Lesnar in the buildup to their bout could be a ruse to sell PPV units, something tells me there's an element of truth behind his judgment of his part-time opponent. The coinage of the term "industry killer" certainly speaks to the erosion of wrestling's core values, and quite possibly, Lesnar's open flirtation over a return to the UFC when his WWE contract runs out this summer. Seth told TMZ Sports that he doesn't think his Wrestlemania 35 opponent is in it for the right reasons. "He's not in it for anybody but himself," Rollins opined. "So, Brock Lesnar, he will tell you to your face that he is in this industry, he's in any industry, for himself to make his own money." On the other hand, Rollins did highlight Lesnar's box office appeal as a strong point for his inclusion in the Federation, before steering the conversation back to his selfish ways. "He's a box office attraction and everybody knows that. The problem is, he knows that as well, and he takes advantage of it every step of the way. So, he doesn't contribute to the locker room. He doesn't give anything back." Rollins faces Lesnar at Wrestlemania this Sunday, for his Universal Championship. 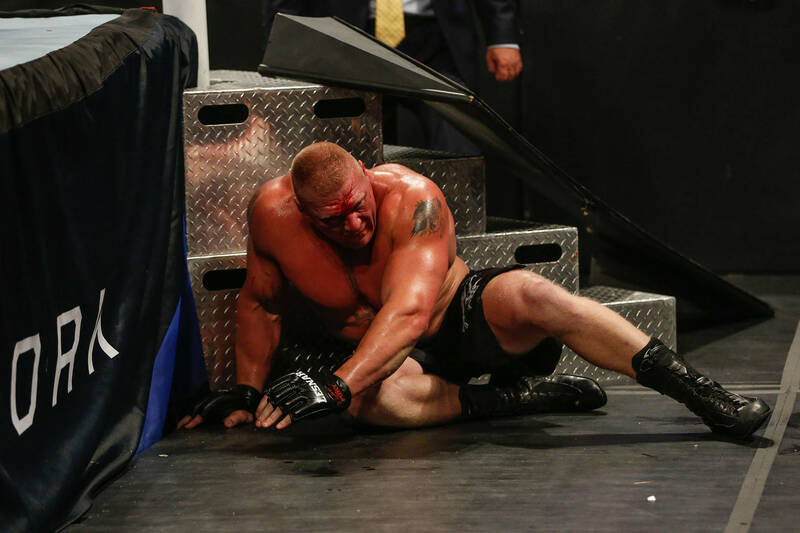 Many believe Lesnar stands little chance of retaining his belt given the uncertainty of his future in WWE. Sunday's wrestling card will also boast the return of Shane McMahon as a combatant, an all-female co-main event, and the return of an inspired Roman Reigns.